WTF (Winning the Fight) Mini Golf Tournament 8th Annual Miniature Golf Tournament. 6-9 pm. 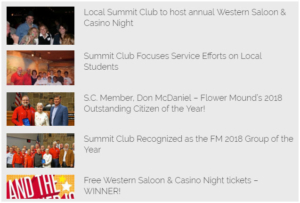 Summit Club has several teams.